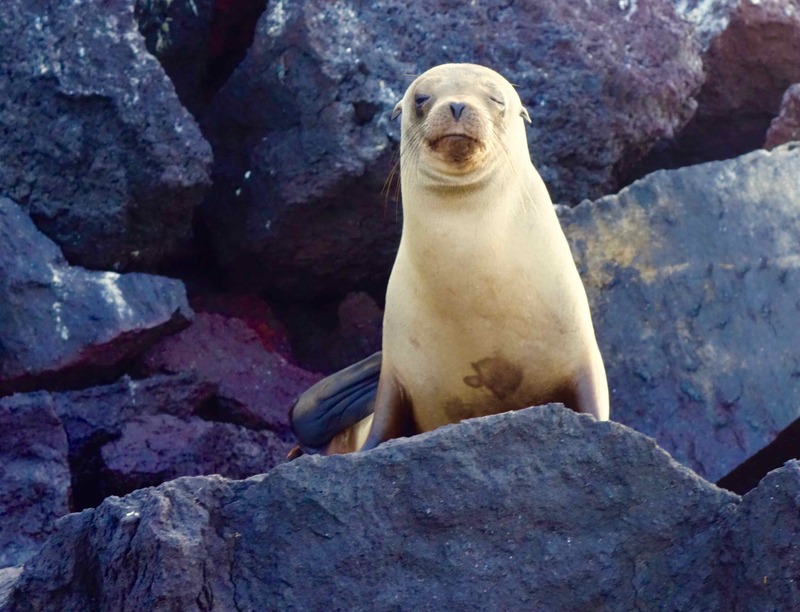 Everyone has warmly greeted us on the Galapagos Islands. As Nona says, “They put the welcome mat out for us.” You should come here sometime. You know what the postcard messages always say, “Wish you were here.” Well, I do! Wish you were here. This Nazca Booby beat me to it; she said “Mucho gusto” before I could say it to her. 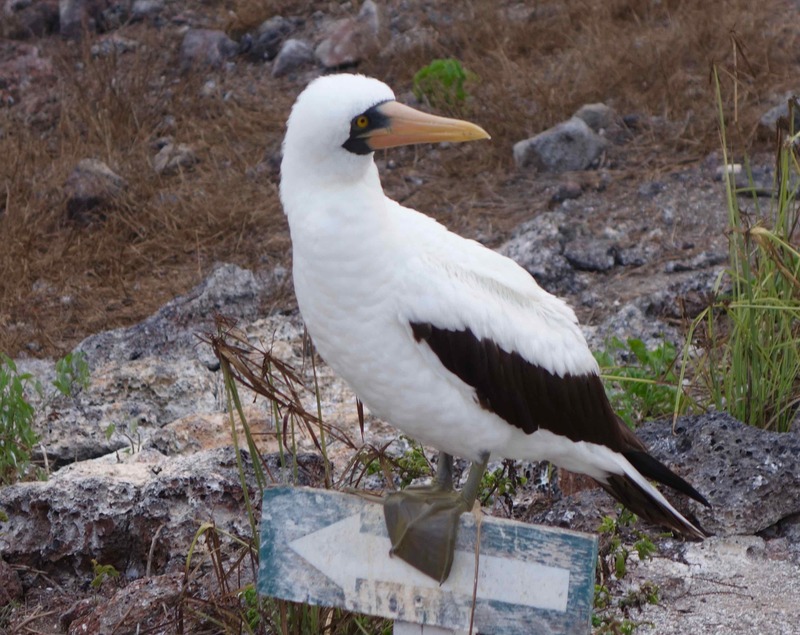 I wonder if this Booby waits for tourists on this sign all the time. She sure seemed to expect us. She invited me to see her babies. Well, I was excited to see baby Boobies and immediately accepted, but, then, I couldn’t really see her babies. Her babies were inside these eggs. 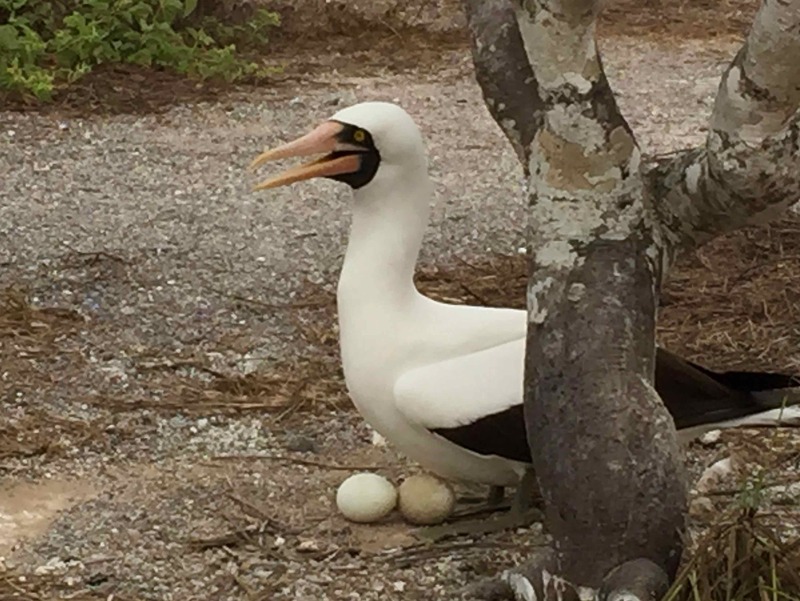 We would have to come back in days or weeks to see the actual Booby babies. I think the proper terms is Booby “chicks,” but I think Booby babies sounds so much better. Don’t you? I thanked her for showing me her eggs. She’s so friendly. I’ve taken a liking to Boobies. Now for someone entirely different. 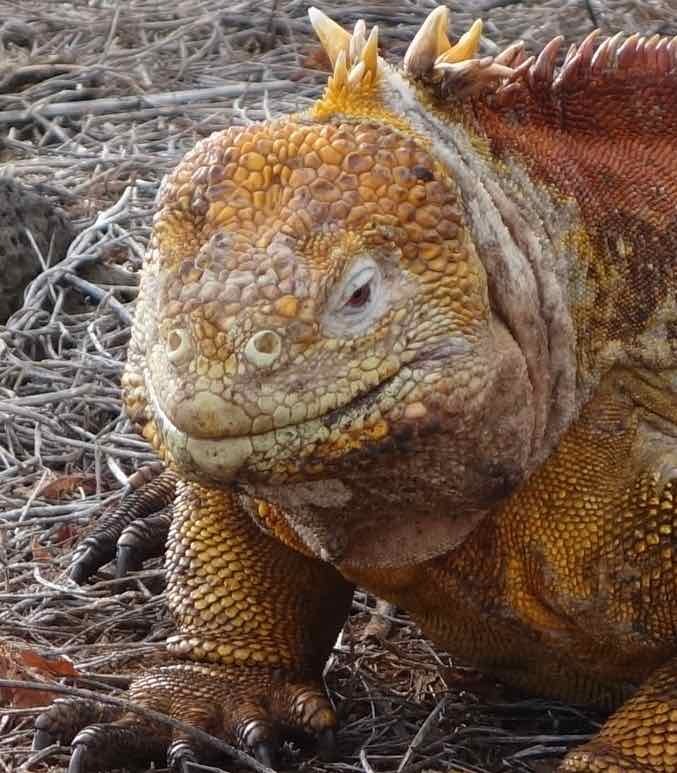 These land iguanas are not cuddly, not at all, and yet, something about them is appealing. I can see why some people like to have land iguanas for pets. I’m not just talking about their orange color — like mine — being appealing, although that is in their favor. I guess my sense of ancient times gets going when I see a land iguana. 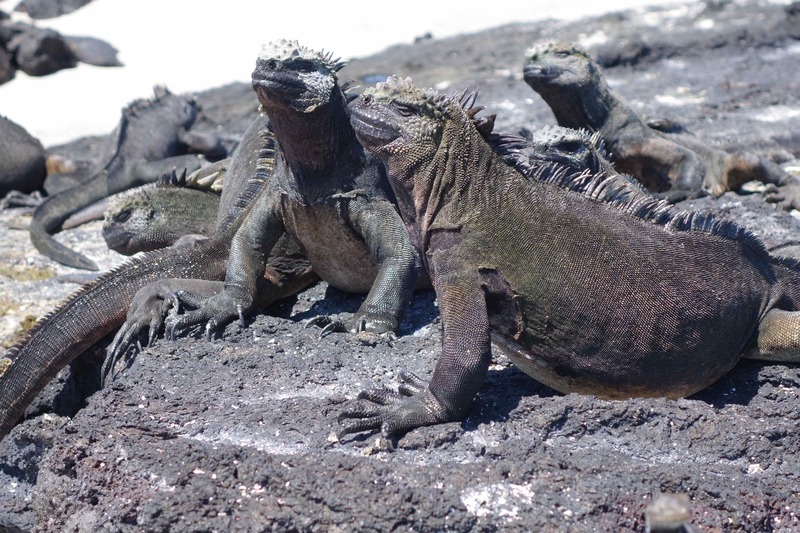 On the other hand, my sense of doom or of pending evil gets going when I see these marine iguanas. “I’m not getting in the water with them!” I declared to our guides. I shouldn’t have judged those marine iguanas by how they look. Here they put out the welcome mat for me, Nona, and Papa, but I expected the worst from them. I should have taken time to get to know them before making a judgment, but they frightened me. Nona told me that I shouldn’t “judge a book by its cover,” and Papa advised me that “fear is a very unreliable guide.” I know, but I keep forgetting. You could have knocked me over with a palm frond, when that marine iguana politely said, “Como estas, seniorita?” I forgot what little Spanish I knew and replied, “Fine, thank you.” Then, can you believe this? He said, in perfect English, “Miss, I really like your orange scaling. Thank you for brightening my day.” My goodness, am I in paradise, in a dream, or what? Bye. 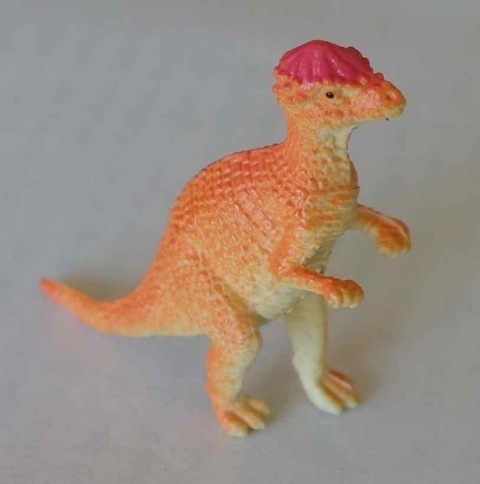 Being a Jurassic in a Human world can be confusing sometimes. For example, you love the Sharks. I know, because you tell me that you go to watch them play ice hockey all the time. They must not be the same sharks that we saw here in Galapagos in the ocean, though. Being a Jurassic in Galapagos can be scary sometimes. 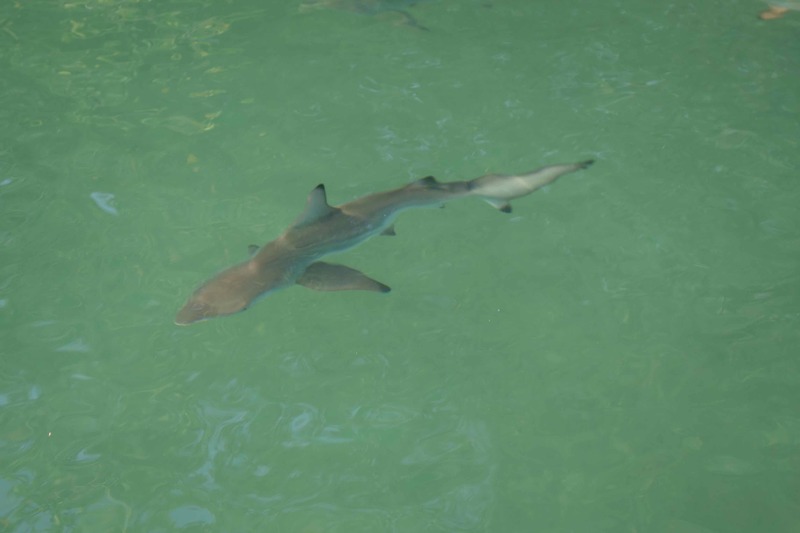 Our guides said these sharks have big mouths, sharp teeth, and strong jaws. Scary creatures. I only want to see them at a distance. When is a Shark not a shark? Answer: When it’s on ice and not in the water! I think your Sharks have ice skates, hockey sticks, and pucks. Right? Same name; different animals. I think my sharks look very graceful in the water. Maybe your Sharks are graceful on the ice? We didn’t just see animals and plants in Galapagos, we also saw interesting landscapes. These cliffs are red because of the iron in the rocks. Sort of like rusted rocks, I guess. Look at the angle! I thought these rocks might slide down on top of us at any moment. Last time I wrote, I mentioned the different types of Boobies. 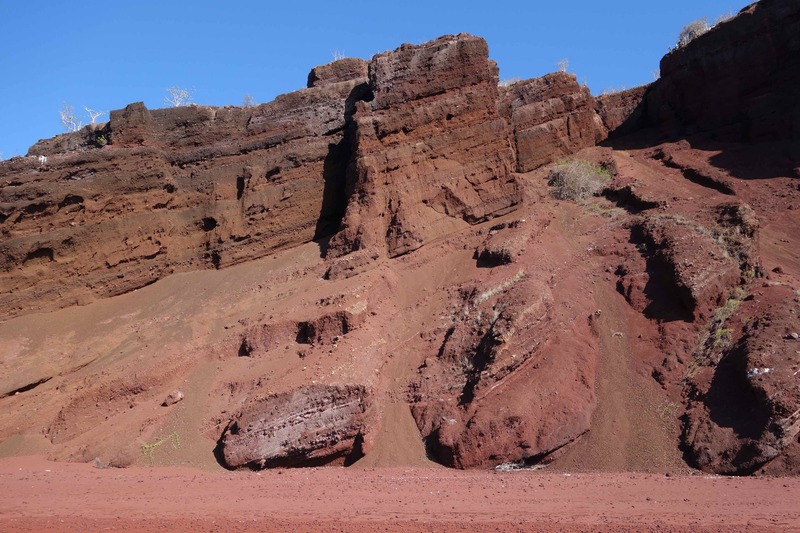 Nona told me — she’s always so informative — that two of them, the Blue-footed Booby and the Nazca Booby, nest in these red cliffs. I’d be afraid to have a home on the side of these cliffs — too scary, but, then, I can’t fly like Boobies. Papa tried to make a joke — Papa’s not very funny and not nearly as informative as Nona — about the iron in the rocks. He said, “With all the iron on Rabida Island, I guess the animals don’t have a problem with ‘iron-deficiency anemia.’ No need for Geritol here!” Nobody laughed or even chuckled. Nona said that the joke “fell flat.” I was embarrassed for Papa. People just looked at him with blank stares. Nona tried to make him feel better by telling him that no one else was old enough to have any idea what Geritol was. I don’t think she helped. He really is old, you know. On another island, we went on a hike, and, just as I was getting comfortable and feeling at home on the island, we had a scare. This bird with a sharp beak made it clear that we were getting too close to its territory. We were not welcome. I wanted to go away right away! But not Nona. 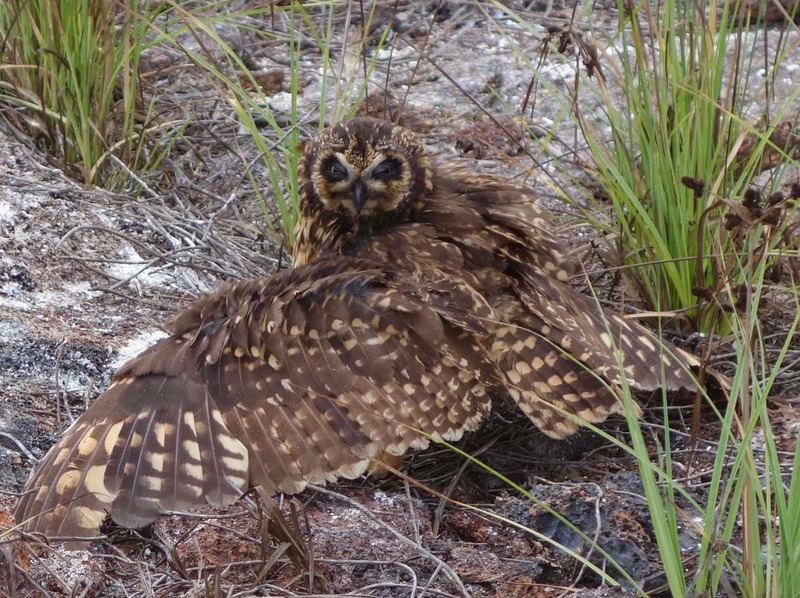 She had to stay to take pictures of this short-eared owl. By the way, it doesn’t really have ears like you have, just tufts of feathers that make you think “ears.” But, like other owls it has really, really good hearing. It finds its prey (it’s food) by sound in the dark. Imagine that! Nona and Papa have to turn on the lights to find food in the kitchen. Another scary thing here is that lot of things seem to die — well, actually, get killed — and rot away on these islands in Galapagos. We kept seeing the remains of dead animals. 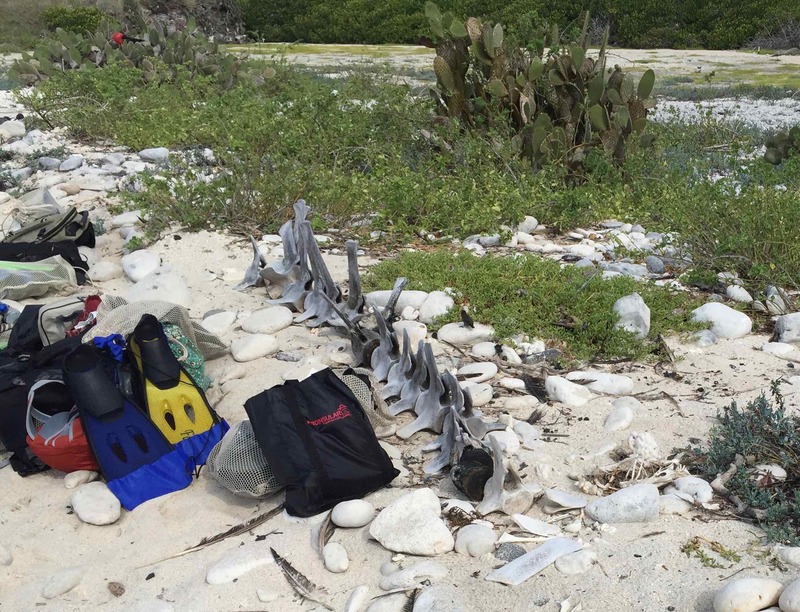 I saw the skeleton of a small sea lion on Rabida Island, and, also, on another island, I saw skeletons of iguanas and, sometimes, iguana skeletons that were still covered by all dried up and brittle iguana skin! Our guides said that — and this grossed me out, so you may want to skip over it — the hawks use their strong toes to strangle iguanas until they are dead, and then the hawks eat the soft parts of the iguana — the eyes and the tongues — and they leave the rest for the crabs, ants, and anybody else who is hungry for rotting reptile flesh. Yikes! Get me off this island and back in the boat! Bye. Mucho gusto. Hey, I’m learning Spanish already! That’s Spanish for “Please to meet you.” I need to practice every day if I’m going to learn a new language! I’ve been saying “mucho gusto” a lot this week. 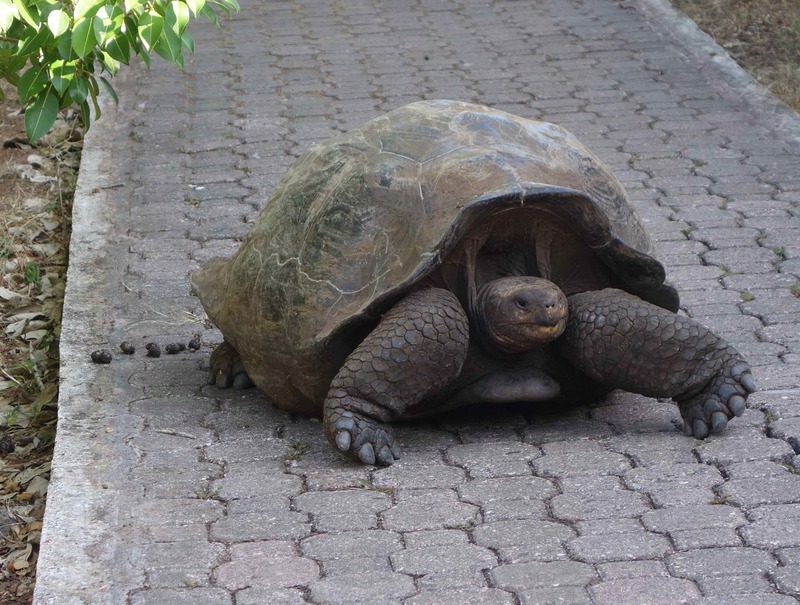 That’s because I’ve been meeting the descendants of the original inhabitants of Galapagos. I think of them as the real “in-crowd” here, and I really am pleased to meet them. All sorts of animals live here, and some of them live nowhere but here. The Galapagos Sea Lion, pictured below, feeds at sea and spends a lot of time lounging and sleeping in the shore zone of the islands. I had to wake up this guy in order to greet him with a “Mucho gusto.” He said, “Iguales,” which means “same here,” and then he said something in Spanish that our guide told me translated, to “Geez! Tourists, tourists, tourists! Now can I go back to sleep?” or something like that. Sea lions and seals look a lot alike so, here’s a question for you. So, what’s the difference? The sea lion has tiny ears; the seal doesn’t. The sea lion spends more time on land, so its flippers work a little more like legs. The seal spends more time in water, so its flippers are more like … , well, like flippers. Did you know that sea lions and seals are both marine mammals called “pinnepads?” Hey, I’m learning a lot about marine mammals too — not just Spanish! If it weren’t for my seasickness, Galapagos would be a lot of fun for me. Look at these creatures. 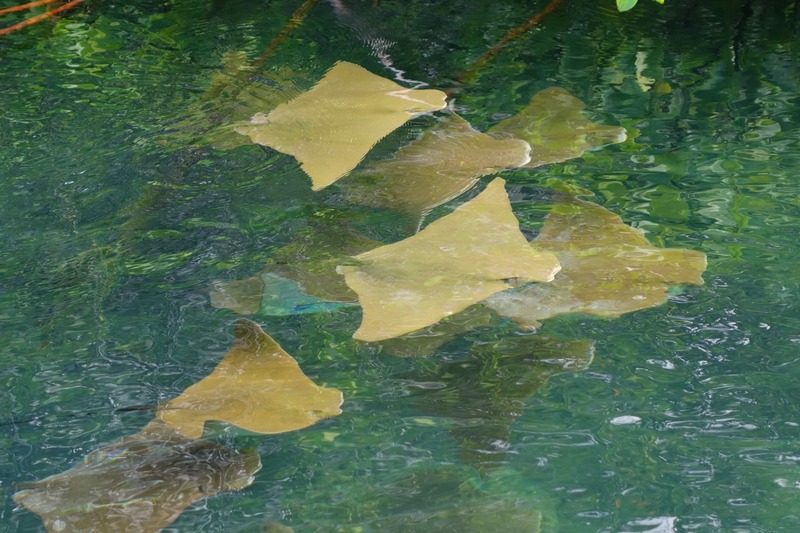 They have a funny name, golden cownose rays. At least that’s what humans call them. I don’t know what they call themselves. Couldn’t ask them. I yelled, “Mucho gusto!”, from our panga to these rays, as they passed by, but I guess that under water they couldn’t hear me. I would have asked them what they call themselves or if they like the name cownose ray. Remember what I told you in my last email about the difference between a tortoise and a turtle: tortoise land and turtle water? Well, you can see that we were on land when I took this photo, and we were in Galapagos. So, this would be a Galapagos tortoise, right? It’s also called a Giant Tortoise. You don’t have to be genius to know why. You probably remember pictures of cormorants that Nona, Papa and I saw on our around-the-world trip, but you won’t have see a picture of this one. The blue eyes and the tiny wings — too small for flight — make this bird the flightless cormorant. Nona says this is a new bird for our bird list! 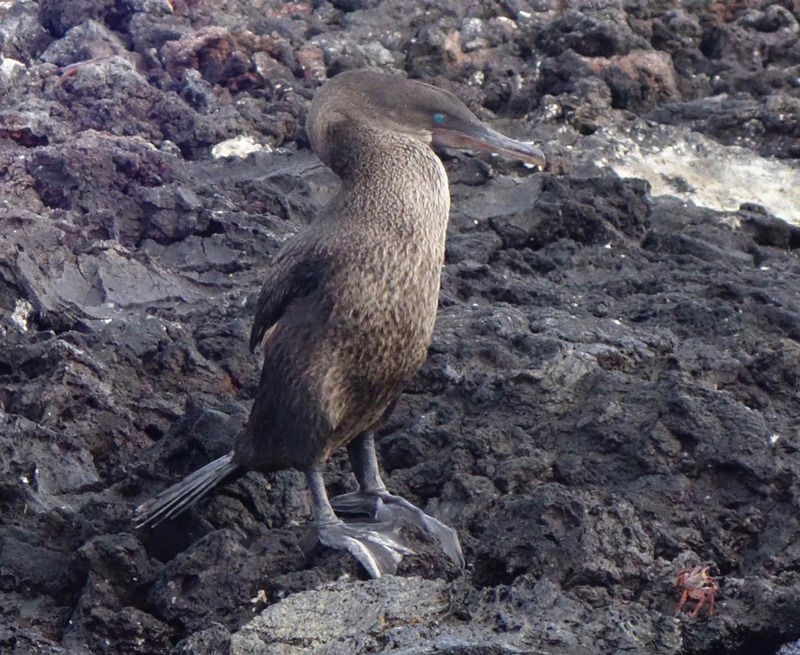 This Galapagos cormorant is the largest, and the only flightless, cormorant in the world. Right, it can’t fly. I think somebody made it’s wings too small. I wonder: what’s the point of being a bird if you can’t fly? Why not just be a mammal or a reptile? Just in case you think I’m making this stuff up, I want you to know that I get all my Galapagos info by borrowing from our wonderful Ecoventura guides and Nona’s book, Birds, Mammals, and Reptiles of the Galapagos Islands by Andy Swash and Rob. I’m pretty sure they don’t make up these facts. I’ve saved the best for last. 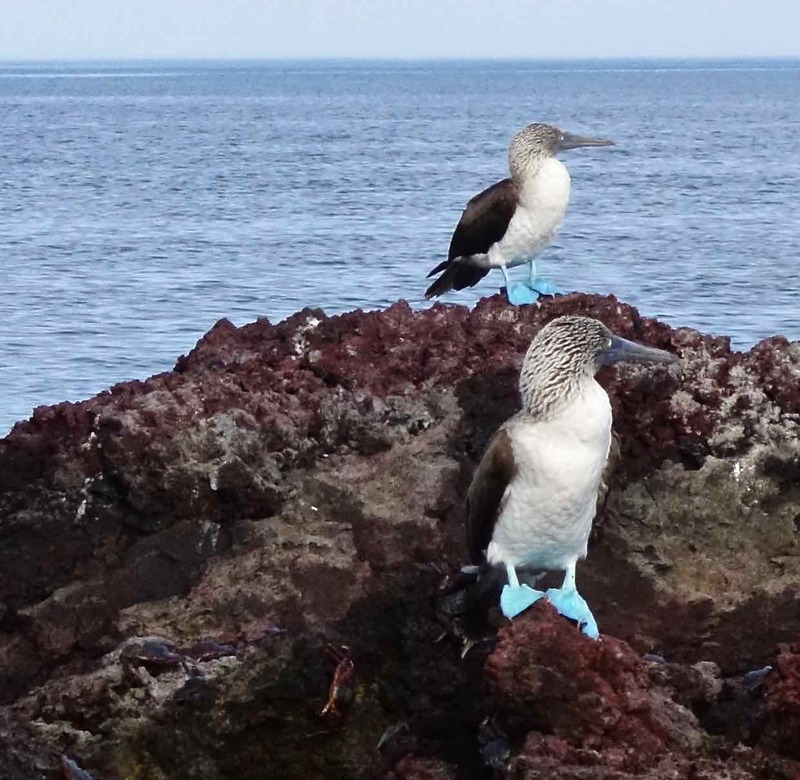 When Papa told me that we were going to see — for the first time ever — Blue-footed Boobies, I thought he was making a joke. Well, one part of the bird’s name made me think that Papa was using a word that I wasn’t supposed to use. Also, the first part of the name just sounded silly, but just one look at these birds and I knew immediately that he wasn’t joking. These really are Blue-footed Boobies. No kidding! Boobies, I mean the bird, come in other types too: Nazca and Red-footed. I hope to see all of them before we leave here. Gosh, I kinda got carried away. Sorry this letter is so long, but I hope you enjoyed it. Bye! Our genial guide, Ivan, liked to ask us every day, “Oh, my goodNess, did everyone have a WonderFul day in Paradise today?” But tonight was different. “Oh, my goodNess, an earthquake just hit Ecuador!” Fortunately for us, when the announcement was made, Nona, Papa, and others in our tour group — 19 of us total — were safely eating supper on our ship, The Eric, in a harbor way out in the Galapagos Islands. If the earthquake had hit just two days later, Nona, Papa, and I would have been in hard hit Canoa, on the Ecuador coast! We feel so badly for the thousands of people who have lost their homes and for the hundreds of families who have lost loved ones or have been severely injured. Nona and Papa have made a contribution for earthquake relief, and donations will be needed far into the future. Needless to say, we can’t go to Canoa now. Still I want to tell you that we are safe, and we have had a wonderful experience with our terrific Ecoventura guides, Ivan and Jose. 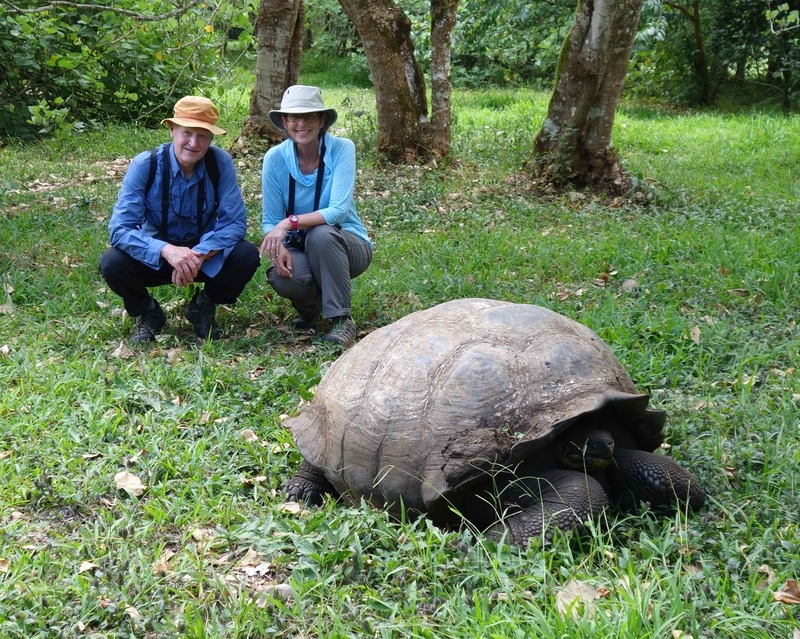 I have so much to tell you about Galapagos, but today I’m just going to tell you about one of the 7 reptiles that live in the Galapagos, way up in the highlands. I think maybe we took this photo while our tortoise friend was still doing his “business.” Sorry! 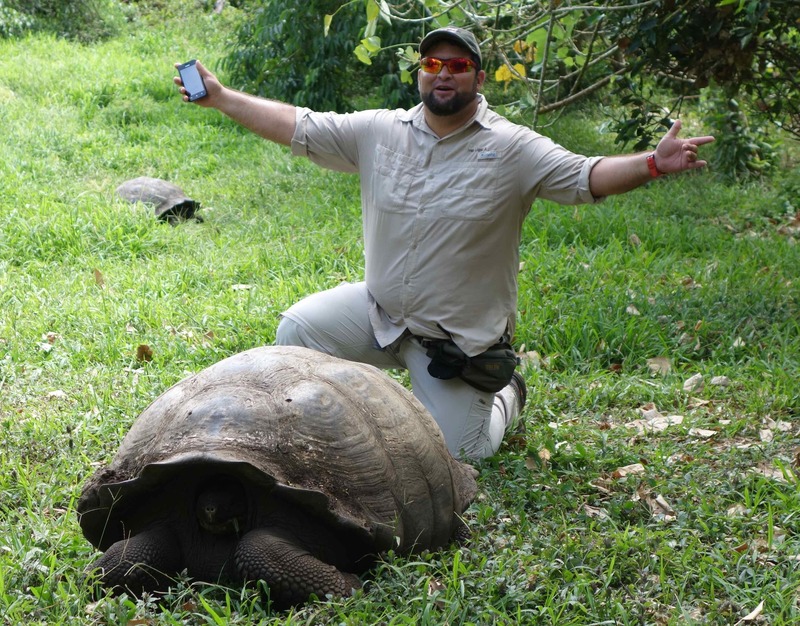 Ivan and Jose took us to the Santa Cruz (island) Galapagos Tortoise Reserve — Rancho Primias, where we saw the Giant Tortoises. These tortoises come in two types, saddleback or dome. Our friend here is a saddleback type. 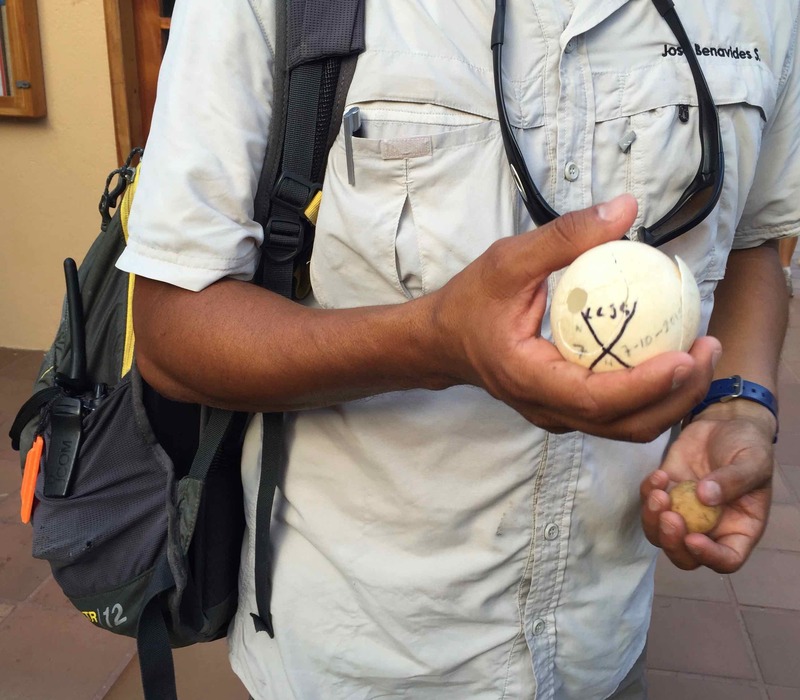 Jose showed us something familiar, except it was different, bigger and rounder. I had seen chicken eggs, because Nona and Papa cook them, but I’ve never saw tortoise eggs before. Aren’t they big? You don’t want to cook tortoise eggs because we want the eggs to hatch and make more tortoises, which are in short supply. 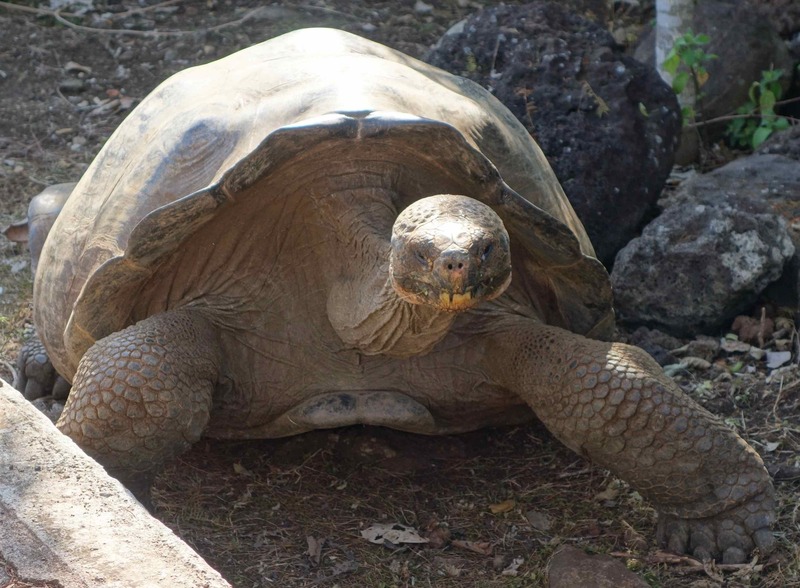 The Galapagos Tortoise (or Giant Tortoise) needs help to grow its population, because sailors ate almost all of them. You can see Ivan behind the tortoise, giving you an idea how big a tortoise is. 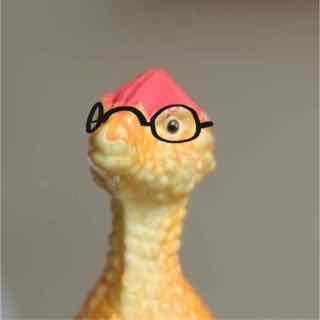 I’ve learned that the tortoise lives mostly or all the time on land, and the turtle lives mostly or all the time in water. We didn’t see turtles on this trip up into the highlands, but we will when we take our pangas (small boats) around the mangrove forests. Maybe I’ll send you some photos of turtles after that. Remember to help Ecuador earthquake relief and tell your friends please. Bye!